Home Places to Visit No Not Just The Battle, Haldighati Is also Known For Something Interesting!!! No Not Just The Battle, Haldighati Is also Known For Something Interesting!!! Since childhood we have read about Haldighati, majorly in context with the Battle of Haldighati (Fought on 18 June 1576). In all the textbooks and every journal we read, it was all just about the bloodshed. In this article, I am going to focus on the merrier and rosy side of Haldighati. Now, for all those who are missing out on what and where is Haldighati, here a quick brief. Haldighati is a mountain pass in the Aravali Range which connects Rajsamand, Udaipur and Pali districts. The name ‘Haldighati’ has originated from the turmeric colored soil of the hills of the area. Turmeric is haldi in Hindi, which has an orangey-ochre color. Haldighati is known for its cultivation of roses! The place is one of the biggest exporters of rose products in India. Haldighati has one of the finest varieties of roses; the Chaitri Roses. These roses are a breed of pink rose, bloom in plenty in the month of March-April (a period of approx one month) in a year. The name of Chaitri Rose is derived from the Hindu month Chaitra, which falls in April, hence the name. 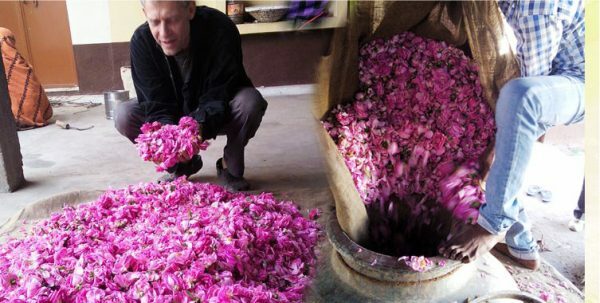 Chaitri Roses cultivated in this region form the world’s finest perfumes as well as Gulkand (Rose Jam), Gulab Jal (rose water), and several other products, including a special medicine for diabetes. 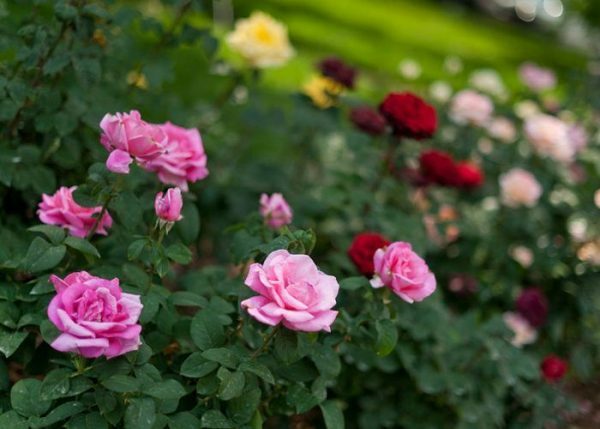 The major production of rose products is done around Badshahi Bagh. This place is well known for its cultivation of roses, especially the Chaitri Roses. The farming of these roses is done at very large scale in Haldighati. The ‘Gulkand’ (Rose petals Jam) made from the rose at Badshahi Bagh has great medicinal value and tastes good too. It is primarily used in ‘Pan’ and other eatables. It has proven therapeutic benefits and has a cooler efficacy which helps in summers from getting relief from the searing sun of Rajasthan. 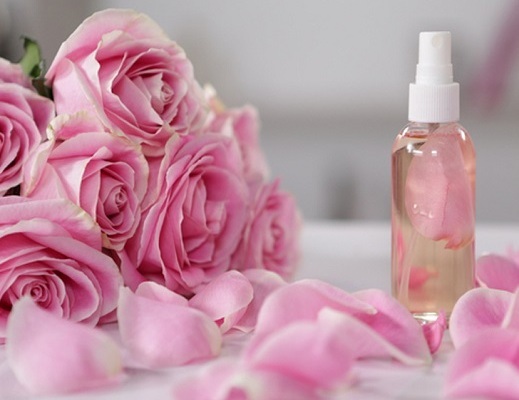 While Rose water is also known for its health and beauty benefits, it is also Antibacterial, Anti-inflammatory, contains high amounts of vitamin C, natural oils found in roses help lock moisture into the skin, has a pleasant natural fragrance, helps in relaxing and toning the skin. Many medicines are also prepared from roses which are exported worldwide. Aren’t you amazed? Such a small pretty looking flower can do so much! Haldighati is about 40 km from Udaipur and lies on the route between Udaipur-Eklingji. Let us know in the comments below if you have ever been to these farms of roses at Haldighati or bought any rose product!!! Previous article‘Honor Killing’ जैसे गम्भीर विषय को नाटक “पुकार” के रूप में दिखाया, शिल्पग्राम की रंगशाला में! Next articleSatyapal Singh of Pacific Engineering gets placed at an annual package of 15 Lacs!